Looks like Lemon and George quickly find themselves in need of a peacemaker in "Carrying Your Love With Me" is scheduled to air Friday, March 28th on the CW. Everyone is all smiles as Lemon and George start off their venture but how long will that last? 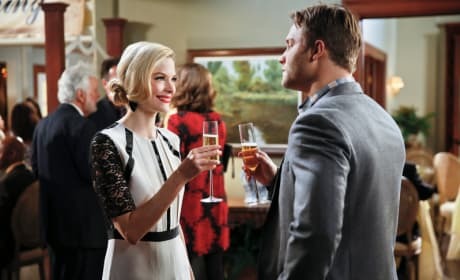 Lemon and George toast as they decide to work together on a business venture on Hart of Dixie. Apparently remodeling their new home is more complicated than Joel and Zoe ever expected. 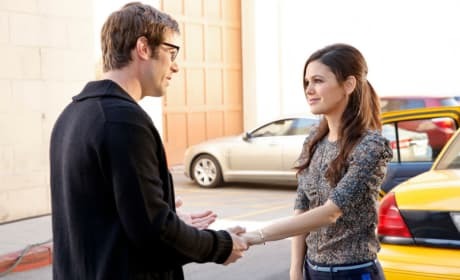 "Carrying Your Love With Me" is the 15th episode of the show's third season. 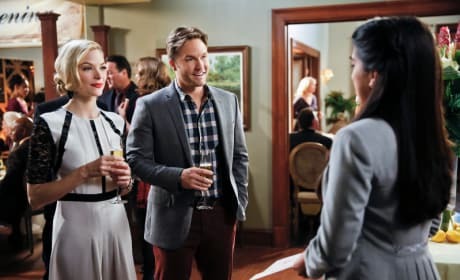 Joel and Zoe find that remodeling their home has added stress to their relationship on Hart of Dixie.